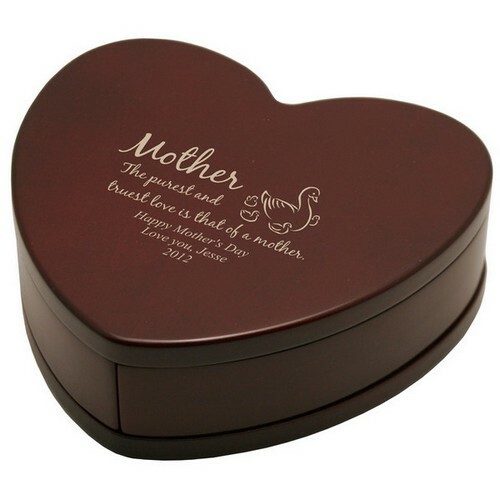 Show your mother how much you love her with our sophisticated solid rosewood keepsake heart, designed exclusively for her. 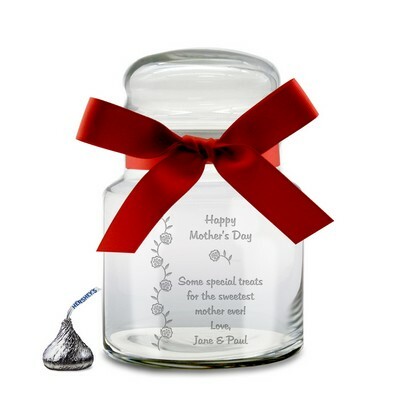 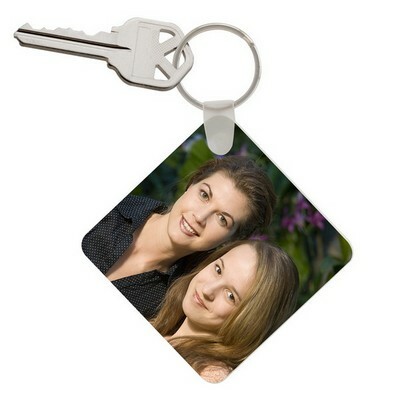 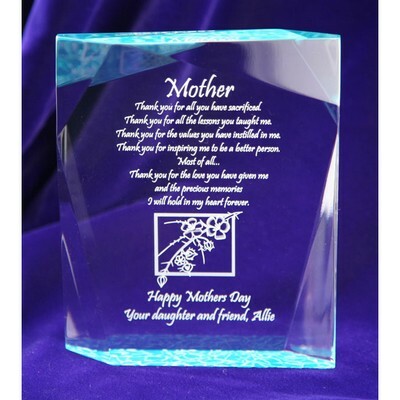 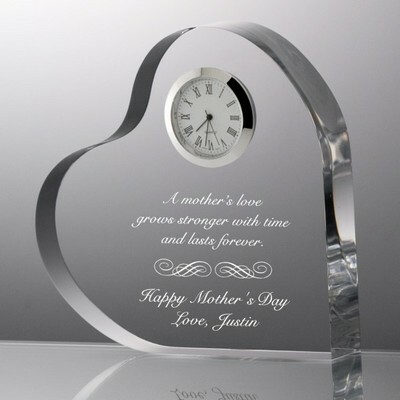 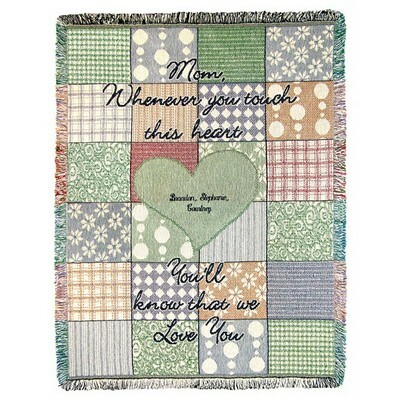 Features beautiful sentiment "The purest and truest love is that of a mother", letting her also know you recognize how much she loves you too. 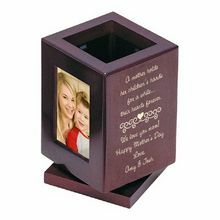 Rosewood keepsake heart for mother measures 6" x 6" x 2" dimensionally and includes 2 split trays, which open for convenient access to jewelry and other items. 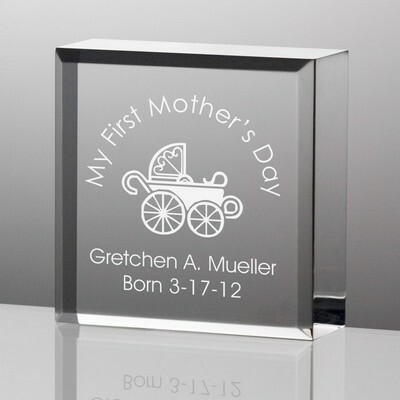 Personalize this heart gift for mom in laser engraved letters to include her name, initials or a special date. 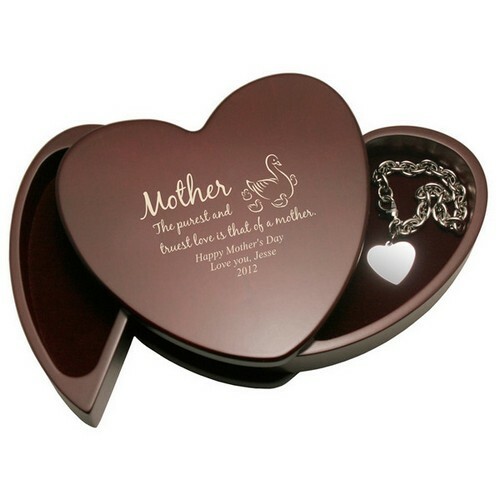 She will always treasure your heart-shaped gift for her.